Earn Volunteer Hours For College! We connect companies and people with high-quality volunteer projects through our extensive network of local nonprofits and schools in need. 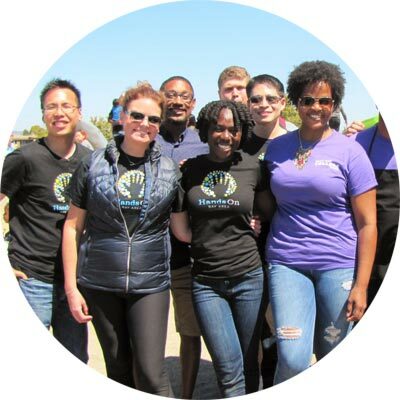 We help companies — including Google, Salesforce, Levi’s and many others — create customized volunteer events to make their employees happier and better serve society. And we offer hundreds of volunteer projects each month to anyone who wants to help, covering all the causes people care about. In 2017, we mobilized over 25,000 volunteers, resulting in more than 76,000 hours of service to more than 280 schools, parks and nonprofits across the Bay Area. Our volunteering projects meet critical community needs including education and literacy, youth development, health and aging, homelessness, the environment and more. HandsOn Bay Area is an affiliate of HandsOn Network, an alliance of innovative volunteer management organizations across the country and around the world. 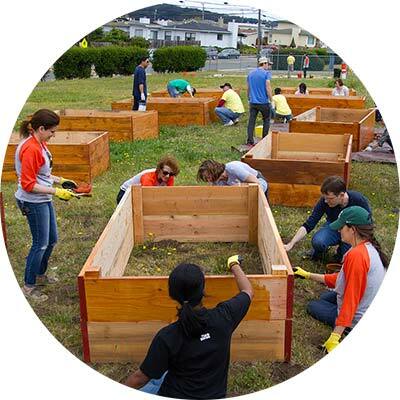 Your donation means more volunteers helping our Bay Area schools, parks, and nonprofits.